According to the Jewish Bible, one of the requirements for the messiah is that he must be a descendant of King David. All of the major Messianic prophecies indicate this (Ezekiel 34:23, 37:21-28; Isaiah 11:1-9; Jeremiah 23:5, 30:7-10, 33:14-16; and Hosea 3:4-5). In Jeremiah chapter 33, verse 17, G-d says that the royal House of David will never lack a man to sit on the throne of Israel. The Christian Bible, recognizing this vital requirement, spends almost two chapters to establish the genealogical record of Jesus as going back to King David. 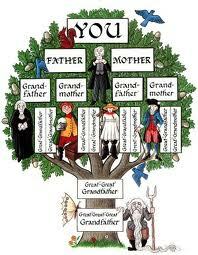 However, when the genealogical records, as recorded by Matthew and Luke are examined, critical problems are revealed. In the gospel of Matthew, the genealogy of Joseph, who was the husband of Mary, is traced back to King David. However, Matthew then shoots himself in the foot by claiming that Joseph was never the father of Jesus. He does this in order to establish his claim that Jesus did not have a normal birth. His claim is that Jesus was the product of a miraculous virgin birth; that Mary never had sexual relations with her husband Joseph, and that Jesus was conceived through the “Holy Spirit.” Therefore, since the genealogy as recorded in Matthew only traces Joseph back to King David, but never connects Joseph as the father of Jesus, it is clear that Jesus has no established genealogical record going back to King David. 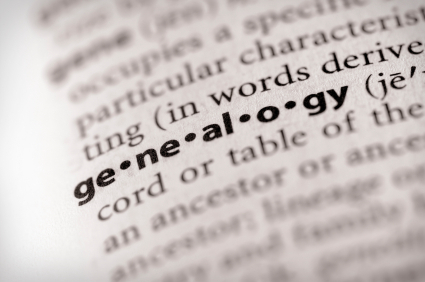 Christian apologists answer that, even though Joseph wasn’t the biological father of Jesus, he was the legal father, and, therefore, passed on his genealogical line through adoption. There are several problems with this answer. First of all, there is no indication from any of the records in the Christian Bible that Joseph actually adopted Jesus. However, even if a case for his adoption could be made, it is absolutely impossible to pass on one’s genealogy through adoption. For example, a priest (Kohain) is someone who is born to another priest. If your father is a priest, then you are a priest. If a priest (Kohain) adopts a boy who is the son of someone who was not a priest, that child does not become a priest through adoption. We see from this passage in Jeremiah that any descendant of Jeconiah would be disqualified from ever being a Messianic candidate; and therefore, if Christians insist upon making Jesus the legal adopted child of Joseph, then it is obvious that Jesus would be disqualified from even potentially being the messiah. Other Greek scholars agree with Professor Blank. And, even if Mary could trace herself back to King David, it still wouldn’t help Jesus. According to the Torah, the mother (the matrilineal) determines if someone is Jewish (Deuteronomy 7:3-4), but tribal affiliation and family genealogy can only be traced through the person’s father (the patrilineal in accordance with Exodus 28:4, 29:9-30, 30:30, and 40:15 [Priesthood Lineage]; Numbers 36 [Tribal Lineage]; Genesis 49:10, I Kings 11:4, and I Chronicles 17:11-19 [Kingship Lineage].). For instance, in Numbers, chapter 1, verse 18, we’re told that the Jewish people declare their pedigrees according to their fathers’ houses. When Queen Athaliah wanted to eliminate the Royal Line of David, she only killed the males knowing full well that a female descendant of David couldn’t pass on the right to the throne (II Kings 11; II Chronicles 22). The fact that the daughters of Zelophchad inherited their father’s property (Numbers 27) doesn’t prove that genealogy can be passed through the daughters. This is born out by Numbers 36, where they are told that they must marry someone from their father’s tribe, otherwise the inheritance would pass out of their family. Finally, a Third problem presents itself. Even if it could be maintained that a family line could be passed on through the mother, Mary herself was not from a legitimate messianic family. According to the Bible, the messiah must be a descendant of King David through his son Solomon (II Samuel 7:12-13; I Chronicles 17:11-14, 22:10, 28:4-7). It’s glaring that in the book of Matthew, the genealogy of Joseph is traced back to King David through his son Solomon, but ultimately down to the cursed King Jeconiah. However, in the book of Luke, the genealogy goes from David, not through his son Solomon, but through his son Nathan. The problem is that even if one wants to maintain that the book of Luke is tracing the genealogy of Mary and that it’s possible to pass on genealogical lineage through the mother, Mary would still not be of help to Jesus, because her line does not go back to David through the King’s son, Solomon. Now the son of an Israelite woman, and he was the son of an Egyptian man, went out among the children of Israel, and they quarreled in the camp—this son of the Israelite woman, and an Israelite man. And the son of the Israelite woman pronounced the [divine] name and cursed. Here we have a man born to a Jewish mother and a non-Jewish father who became extremely angry and blasphemed in the encampment. Our sages explain the reason for his anger. Apparently, the man was told that he was tribe-less, and hence unable to pitch his tent together with the tribe of Dan. The reason: tribal lineage runs through the paternal line, and his non-Jewish father was of course not part of any tribe. Therefore a man born to a Jewish mother and a non-Jewish father and/ or a convert to Judaism are Jewish but without tribal lineage. Jesus failed to fulfill any of the major messianic prophecies; he was never anointed as King, he never ruled Israel, and the world was certainly not perfected in his time. In addition, he was not preceded by the return of the prophet Elijah (Malachi 4:5). Finally, he was disqualified from ever being a messianic candidate due to his lack of the necessary family background. The Jewish people never rejected Jesus. He just never measured up to the description that God gave to the Jewish people, of who the messiah would be. You are confronted with a choice: you can believe what G-d said when he promised the Jewish people a messiah from the House of David through Solomon his son, or you can decide that G-d was lying when He made these vital promises. We aren’t talking about a crisis in faith, but, rather, a search for the truth. Do you have the courage to make that search? dear sir, while i am not of your faith(why not) i support our brothers and sisters in Israel. i do believe that the jews are in fact the children of God, and will in fact triumph over the evil that has this world in a mess. people have been saying for many generations, that the end is near. i don’t know as i am not God, and am glad that i am not. what can you say to a christian to help him understand further? peace. greg hollopeter. Hi Menashe, I’ve done quite an extensive article on this subject as well. If you like, I’ll mail you my version thereof. In Matthews genealogy, the one with Jeconiah in and knowing the negatives . . . If Jesus were a direct bloodline descent, it wouldn’t be legit. I have heard many objections over time, so I was wondering how do you suggest David’s descendant aka messiah “will” work out with Jeconiah there in that same line? One other question is from 1 Chronicles 28:6-7. There is a major “im” there — if — IF Solomon does all that is expected, which, after following his foreign wives/concubines, seems doubtful as to his kingdom being established forever. What do you know, or any Judaic reference have regarding this? A question to ask is how reasonable is it to expect the messiah to be perfect and sinless in every way. Is this not a Christian projection of what a messiah should be? After all is messiah not to be worshipped? Here I think is the difference as far as I am concerned about the point of a messiah, that whilst the messiah is very special he is just like you and me and is not to be worshipped, only G-d is to be worshipped. A quality of the messiah is that he operates in such a way that he does not impede or obstruct worship of G-d.
1. In 1 Chronicles 3, where the line of David is listed, Jeconiah shows up at vss. 16-17. If, as it says elsewhere, that he is to remain childless, then how do you account for the names following his, much less a full bloodline messiah coming from that line, which is in the Jewish end of the Bible? 2. 1 Chronicles 28:6-7. There is a major “im” there — if — IF Solomon does all that is expected, which, after following his foreign wives/concubines, seems doubtful as to his kingdom being established forever. What do you know, or any Judaic reference have regarding this? Let’s start with King David. Behold, a son will be born to you; he will be a man of peace, and I shall give him peace (shalom) from all his enemies around about, for Solomon (Shlomo) will be his name, and I shall give peace and quiet to Israel in his days. He shall build a house in My name, and he shall be to Me as a son, and I to him as a father, and I shall prepare the throne of his kingdom forever. When King David reaffirms that Solomon will reign after him, he is saluted with the expression, “Let my lord King David live forever” (I Kings 1:31),2 indicating that the eternal monarchy continues through Solomon. In light of the above, the fact that Moshiach will be a descendant of both David and Solomon is part of the twelfth (of the thirteen) Jewish fundamental beliefs as outlined by Maimonides. I know of all these verses etc., having studied all this to some degree, but for those that don’t know if them, it is good that you listed them and have that established. So, down the line Jeconiah is listed there and people after him — please answer my two questions regarding this as there are those names already written there. Here in the above “childless” is defined in terms of how one is prosperous. Here in this verse prosperity is defined as having a child who will be a king Israel/ Judah. The verse does not say that he will not have children, the verse clearly indicates no man of his seed shall prosper sitting upon the throne of David and ruling anymore in Judah. “ANY descendant … would be disqualified” How does what this line up with what you explained? Jeconiah had children and as the verse in Jeremiah clearly indicates Jeconiah’s “childless” is defined as non of his seed would be prosperous to become a king of Israel by virtue of them being disqualified. Which is precisely my point. Sorry to be an annoyance, but my question still remains — how then can the messiah come from this line being Davidic? The messiah cannot come from Jeconiah and no such restriction is placed upon King David or Solomon. No such restriction on Solomon – ? What about my second question? No man of his seed shall prosper = a/k/a have a child that will be king. Somehow this isn’t gelling. Here we have the Davidic line, of which the messiah will come from David/Solomon; Jeconiah is a descendant in this same line who won’t have a prosperous son, basically, since children were considered prosperity, then he won’t have children, so where does the messiah come from? If the Christians can’t have a legit messiah because Jeconiah is in the line, then how can the Jews? This is the SAME line here to this point. I seriously think you are avoiding the topic/questions because you do not have an answer so you circumvent. But I do thank you for your time! Todah! I was truly hoping this conversation would continue, especially with the Jeconiah problem in the Jewish genealogy as well since the lines are the same here. If, as you said, the messiah cannot come from Jeconiah, then how does the lineage proceed? Also, what about 1 Chronicles 28:6-7, with the word IF that is there–IF Solomon does all that is expected, which does not seem to be the case with all the foreign wives he had. Please explain. And, is there any way of knowing or determining about how many years would the names in 1 Chronicles 3 go to … just so many into the exile, or past the 70 years into the return? Thanking you ahead of time! I realize it has been nearly 2 years since the above conversation took place, but the writer seems to assume that only Jeconiah’s branch were descendants from King Solomon. This is not true. The bible tells us that Solomon “had seven hundred royal wives and three hundred concubines” (I Kings 11:3). There are many people alive today who descend from King Solomon and can trace their lineages to him. Also, the promises made to King David and King Solomon were not conditional. The writer quoted 1 Chronicles 28:6-7 but did not quote “When your days are finished and you shall lie with your forefathers, then I will raise up your seed that shall proceed from your body after you, and I will establish his kingdom. He shall build a house for My name, and I will establish the throne of his kingdom forever. I will be to him a father, and he shall be to Me a son; so that when he goes astray I will chasten him with the rod of men, and with the stripes of the sons of Adam.But My mercy shall not depart from him as I withdrew it from Saul, whom I removed from before you.And your house and your kingdom shall be confirmed forever before you; your throne shall be established forever.”. 2 Samuel 7:12-16. The promise of the throne through Solomon isn’t a bit conditional. Just the opposite — Solomon’s heirs are in the line of succession FOREVER. “Behold, a son will be born to you; he will be a man of rest, and I shall grant him rest from all his enemies all around. His name will be Solomon, and I will be bestow peace and tranquility upon Israel in his days. He will build a Temple for My Name’s sake; he will be a son to Me and I will be a Father to him. And I will establish the throne of his kingdom over Israel forever.” 1 Chronicles 22:9-10.